With literally hundreds of sporting events to bet on nowadays, you would think that finding a top tier online sportsbooks would be easy. It is certainly easy to find an online bookie but not so easy to find one that’s honest and that comes with an outstanding reputation. We know the tricks of the trade when it comes to gambling and finding a great bookie. We are gamblers and have more than 100 hundred combined years as sports gamblers. We are not here to tell you who to choose but rather what to choose. There are a few simple must haves when it comes to a great sportsbook and there are a few questions that need to be asked before making that deposit. 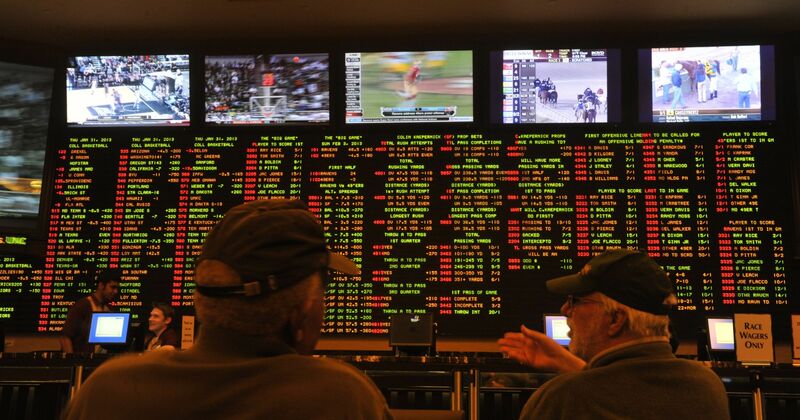 Every sportsbook in the business, wants your business and they will go to great lengths to get it. The bookies are not stupid, they know what it takes to get clients in the door and they know that competition exists’. There are strings attached, remember, just as with anything in life ‘there is no free lunch”. With a sign on bonus comes a rollover and what this means is simply put, before you would be eligible for a payout you will need to complete the required rollover. Most books work in a similar fashion when it comes to the bonus vs. rollover. For the sake of example let’s suppose that you take a 100% bonus and you are depositing $100. The $100 cash that you deposited goes directly to your cash account and you may spend it as you wish, the $100 in bonus money goes to your bonus account and you may spend that on qualifying bets. Most bookies calculate rollovers the same. It goes like this. Deposit $100, receive $100 in bonus. $100 + $100 x 10 = $1000. In most cases a 100 percent bonus carries a 10 time rollover. In this case you will need to bet $1,000 worth of qualifying sportsbook wagering action before you are eligible to receive a payout. Bonuses are not necessarily a bad thing, as a matter of fact, they are a great thing. As with any form or any kind of gambling the key to a bonus is having a little luck out of the starting gate. If you can secure that first win then you are well on your way and the rollover will be a snap. When you win a qualifying wager from bonus money-the winnings go straight to your cash balance and the bonus goes away. You want a sports betting site that provides quality customer service and one that can be called and/or chatted with on live chat. There is simply no exception to this rule. If something ever does go wrong you want the assurance that a knowledgeable representative will be happy to assist you. Make sure that your potential bookmaker offers a toll free number assessable from the United States. Do some research find out who others recommend and follow the online reviews. Don’t be pulled in simply because they have a big brand name. Nine out of ten times, the big names have very poor customer service. They simply can’t hire enough people to talk to everyone at once and they certainly don’t bother to have a toll free number. Be very Leary of the big names. The sports betting season never stops so be sure to have a couple of top notch bookies in your back pocket. There is nothing worse than hitting a great bet and then your bookie finds excuses to not pay. Don’t let this happen to you. Good luck out there.